Long time no post,I've been super busy working away down south as well as on some other car projects,but the city's are up there on my list of things to do! I have been working with a company who manufacture custom coilovers and are currently making a set for my 74 Ta22 and AW11 and I have been talking to them about making up a custom set for my T2. There will be cutting and welding involved onto the original strut tower,but I will endeavour to come up with a kit that is as painless as possible! Because I know that you are all (like me ) all riding around on rubbish old shocks with no hope of finding new ones. So who would be keen for a set? and what would be a reasonable amount of cash you would be willing to part with? I assure you that I am product testing the hell out of the manufacture at my own expense all in the name of research! But I am happy to do so. Hope to get these made up soon, say around March at the latest. Before you do, just happy to report that have actually just gotten a set of custom adjustables for the T2 here in Malaysia. There is a company that manufactures custom suspension solutions here and have fabricated a bolt on set in a day! Will try to upload some photos or something if you're interested! If there's demand I can probably get them to make identical sets that you can use. They also can fabricate all the stabilizer bar bushings, which is what I'm going for next! Oh cool, it sounds like you had a great trip! This honda life solution,did it look like a good option to you? I wonder what year the Honda life was and DoD you see what the set up was like on the rear? It could be an interesting option. Some pictures would be great! I am happy to look at all options, how did they go about customizing them? Photos of the front and rears would be great! I'm sure there would be quite a bit of interest if they are a good setup! I will also endeavour with my suppliers are see what it will cost set up wise and what they can do.all in all we mite be able to pull together a good bolt on kit from one or multiple suppliers. But not really wanting to spend that on something that may not be right. Hopefully that link works - Anyways on his car he says he has ' It is nismo N1 damper for SILVIA. It is attached by processing the rear wheel housing. Nismo N1 dampers.... doesn't sound cheap! 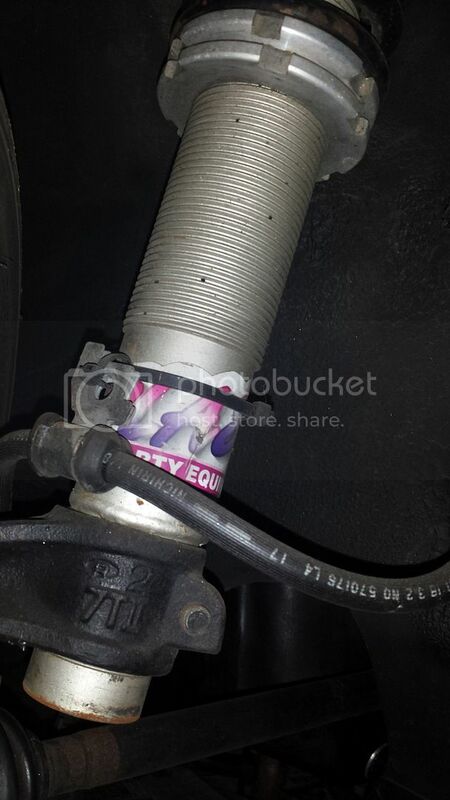 I haven't done a proper search through the forum for some time, but I assume factory dampers are no longer available? I'm sure it's going to be $1500 worth to get it done tho. I found a pair of lime green mazdaspeed adjustable damping rear struts on a gs at the wrecker the other day. Are they worth snagging? Can they be rebuilt? In the pics of those citys in Japan they are running shocks, not struts. There is a difference between Double A arm suspension that most late 80s Honda had and the Macpherson strut suspension that the Citys have. 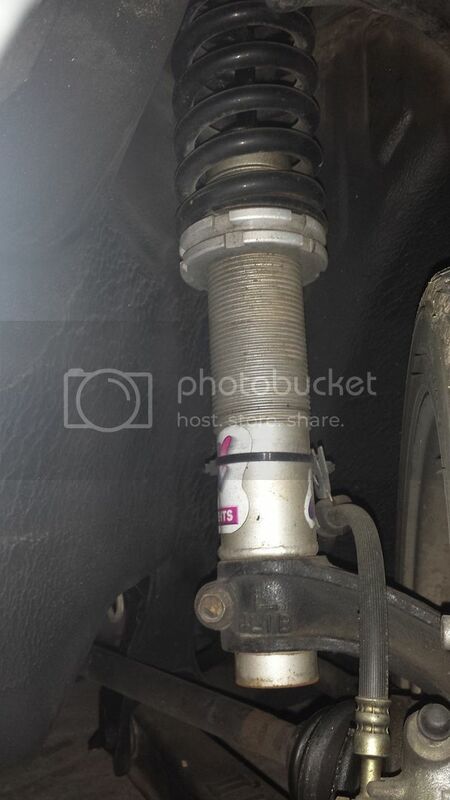 The shock rods in those coilovers look to only be 12 or 14mm, much too thin for the city which runs an 22mm front shaft. Basically these are dangerous and will bend easily on the first decent impact. For a City, If I was doing it now I would find a Koni workshop, take some measurements about the ride height and travel that I want and have them supply/build a set of strut inserts to go inside the stock City strut tubes. Then I would install a weld on coilover kit to these tubes and you then have adjustable suspension and you can run whatever coilover springs you want. Yeah, Goerge Stocks does Koni inserts but they aren't cheap & if the price is over a few hundred bux then most City owners aren't that interested but what you're saying is completely right & the best way to do it, also Koni's are repairable.